are finally completed. 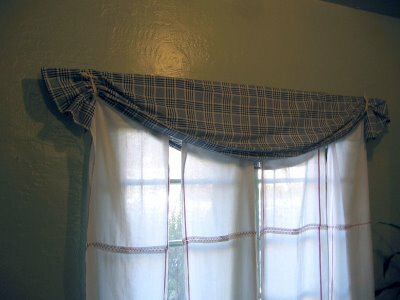 The valance was not originally planned but had to be added to cover up the ugly curtain rod. 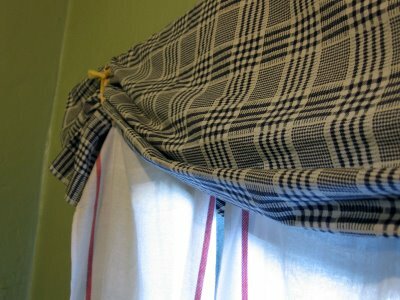 I just through a table cloth I got for my birthday over the curtain rod and tied the tea towel curtains on to gather it. 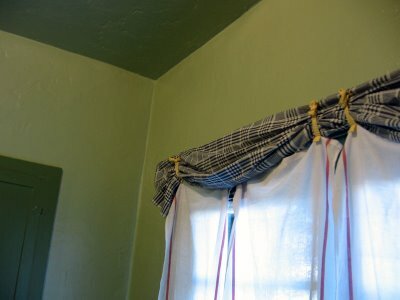 There are two ways I can tie the curtains on. I think I'm going to go with the top version. It's a little more elegant. I bought a desk at a thrift store last weekend. 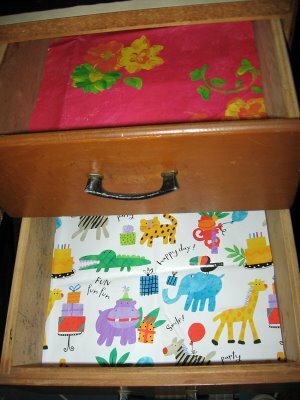 I cleaned it and cut some old (and previously used) wrapping paper to make drawer liners, covering any stains and using up old paper. Now I just need to fill up those drawers!